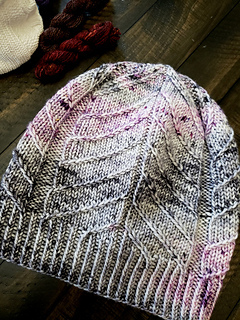 This simple worsted weight hat features twisted ribbing, and easy, symmetrical 2 stitch cable patterns. 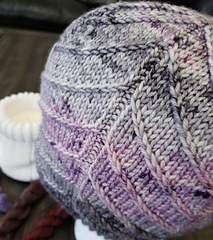 This design is simple and easy to memorize but creates a visually interesting hat with a stunning crown detail. 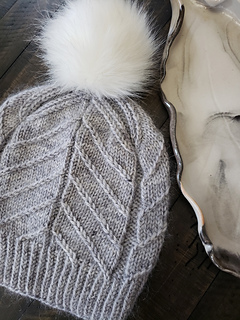 This hat is knit in worsted, but can also be knit in DK for a slightly smaller size, or in Aran for a slightly larger size. I also did a sample holding 1 strand of worsted and one strand of kidsilk which turned out awesome. 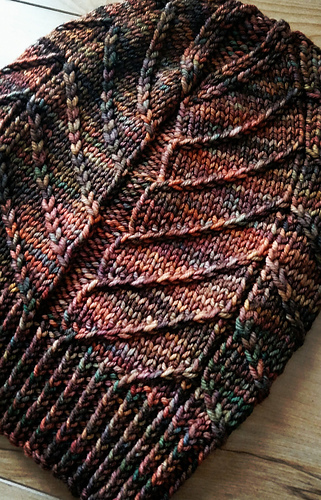 If this method is up your alley, I would recommend using DK with the kidsilk, though worsted works too, just at a slightly larger gauge. 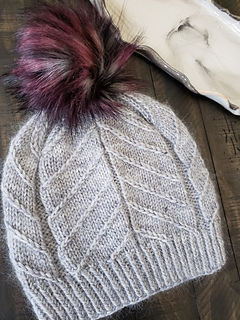 Shown (Solid grey)- Fibre Goddess McGonagall in the 50 Shades of Feminism colorway held double with Sugarbush Drizzle (219 yarns/ 25 grams) in the Rain Cloud colorway. 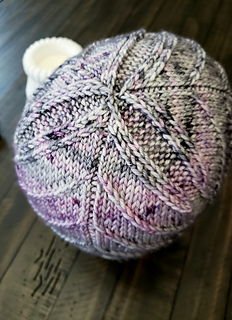 Recommended: 100 grams of worsted weight yarn. 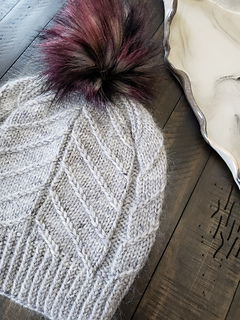 If a smaller size is desired, consider using DK weight yarn with an appropriate needle size, or Aran weight for a larger size. Notions: darning needle for weaving in ends. 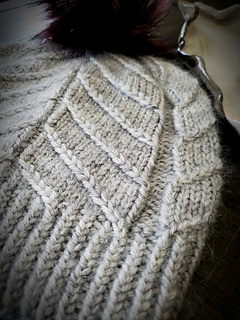 Gauge: 18 stitches and 26 rows per 4” in blocked stockinette stitch.